If you ask a child today who her best friend is, chances are her answer will probably be different next week. Children have many “best friends,” “good friends,” and “acquaintances.” Sometimes they form a special bond with someone and that friendship can last a lifetime. Unfortunately, situations can change and the friendship may end because a child moves, different interests develop, or even the unfortunate case of death of one person. Losing a best friend can be devasting to anyone, especially a child. 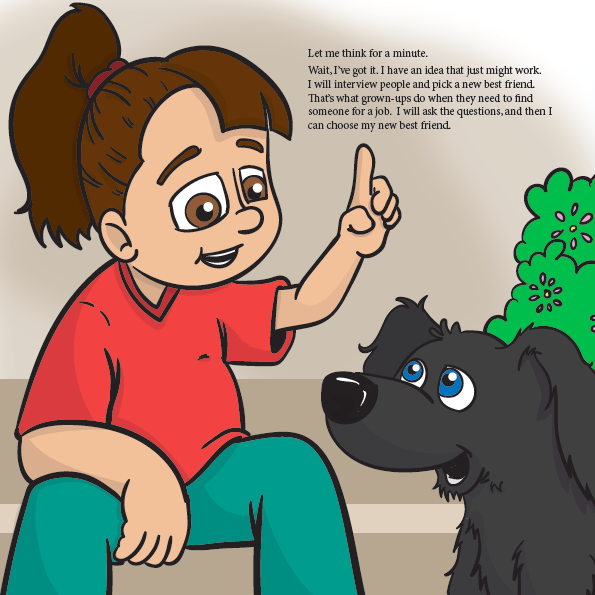 The main character in the book experiences the loss of her best friend. She tries to cope with the situation by replacing her. She soon realizes that no one is capable of replacing her best friend. Instead of finding a replacement, the mother in the story helps her daughter validate her feelings of sadness and loss. She encourages her daughter to find a special place in her heart to remember her best friend and keep the wonderful memories alive that they shared together. Mom’s advice reinforces the idea that if you are fortunate enough to have a true best friend than one should consider oneself lucky. The main character comes to the realization that even if a friend is no longer in one’s life for whatever reason, that friend can remain in one’s heart and never be replaced. This book is incredibly near and dear to my heart for so many reasons. My beautiful sister wrote this book as a tribute to her best friend who had her life taken much too early this summer in a tragic domestic violence incident. That incident also left her three children behind with no parents. The outpouring of love after MIchele’s death by her family, friends, church family, and community was a testimony to a life well-lived. My sister wants this book to be nothing more than a blessing to her children and a way to honor Michele’s life. Would you please consider purchasing this book? This is a beautiful story for children who may have experienced loss. In a world where there is so much darkness, we can do something to bring light!